​It took me a long time in my film journey to realize there was a reason classical Hollywood films are talked about in such high regard. To me, the thought of watching classical Hollywood films instead of an exciting foreign or art house film just seemed boring, but I had a big surprise coming to me. Even through the strict rules of the production code, the filmmakers of the Classical Hollywood era managed to completely subvert my expectations. These films are filled with life and vibrancy. They jump through the screen, and even though they all follow the same structure, they take hold of you every time. I think this goes without saying but watch Citizen Kane (Welles, 1941), Casablanca (Curtiz, 1942), and Singin’ in the Rain (Donen, Kelly, 1952). For this article, I’m going to be focusing on post-code films of the sound era. ​Let’s start with the man who made the writers of Cahiers du Cinema go wild: Nicholas Ray. 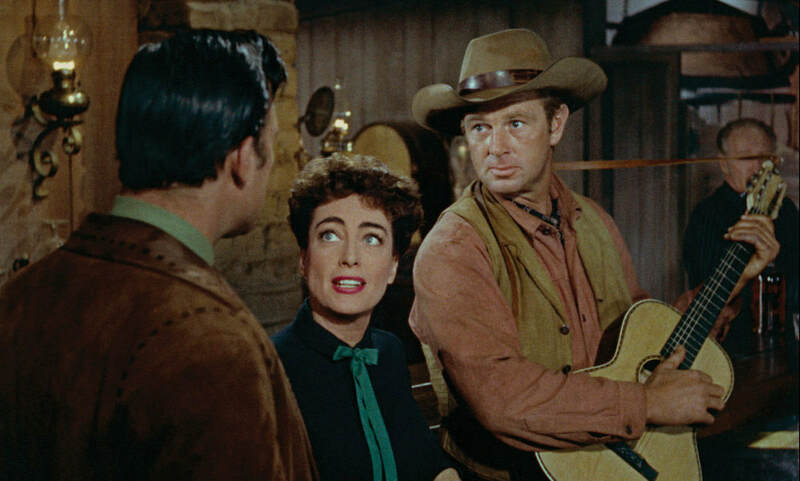 Each of Ray’s films represent a unique facet of Classical Hollywood film and Johnny Guitar is no exception. Johnny Guitar isn’t your grandfather’s western. Lead by the incomparable and powerful, Joan Crawford, this film is the closest we may ever get to having a feminist western. Johnny Guitar has everything: gorgeous Trucolor, a woman in pants, and a song that will remain permanently stuck in your head. I don’t think any romantic comedy ever had or ever will have the star power of The Philadelphia Story. 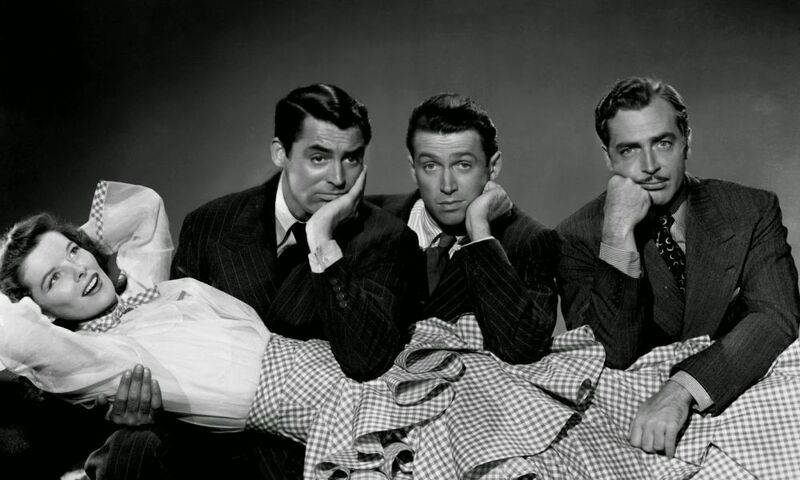 Starring Katherine Hepburn, Cary Grant, and James Stewart, this film has almost too many markers of a good romantic comedy to bear. It’s a story about socialites, journalists, weddings, divorces, yachts, and midnight swims. Made by one of the most competent directors of the era, The Philadelphia Story is witty, charming, and will make you fall in love with so many men you won’t know what to do with yourself. ​Double Indemnity is worth watching for Barbara Stanwyck alone, but there are so many more reasons why you should sit down to watch this film right now. Heralded as the quintessential Film Noir, this film acts as a highlight reel for everything good about the genre without feeling inauthentic. 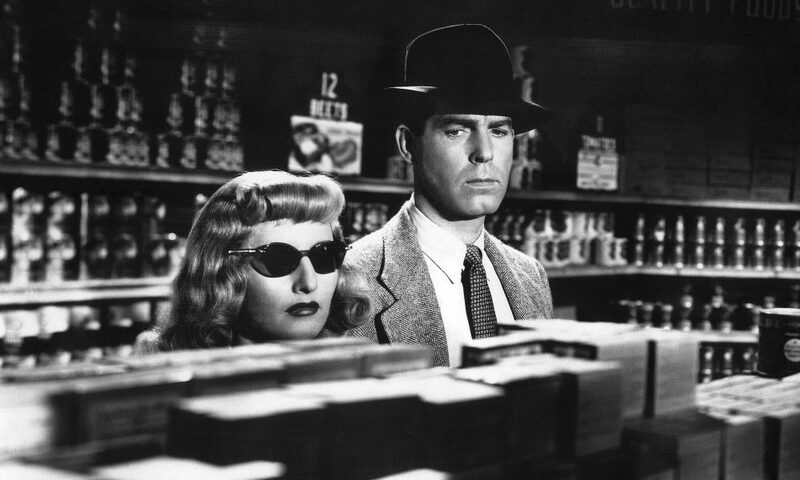 Double Indemnity is as cool as a film can be while still drawing the viewer in and making their palms sweat. There is never a dull moment in Double Indemnity. Also, can you even say you’ve seen a Film Noir without seeing one written by Raymond Chandler? My sources say no, baby. ​If you ever feel the crushing pressure of your responsibilities weighing down on you, turn on Meet Me in St. Louis to live vicariously through the Smith Family. 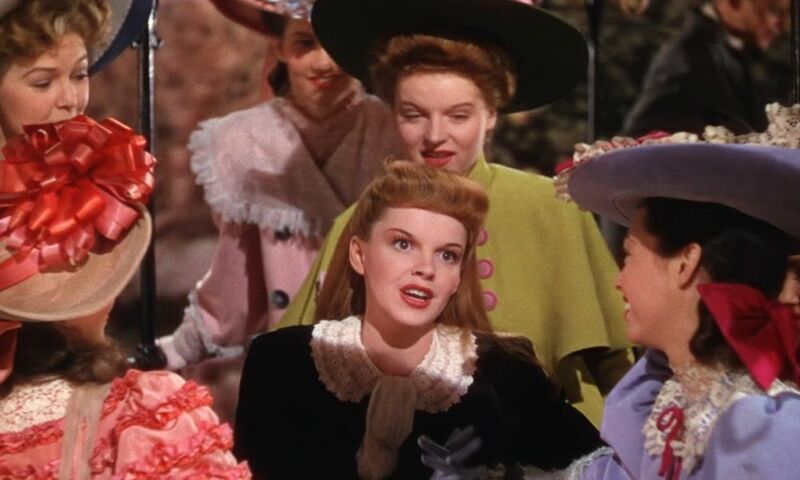 Judy Garland was at the height of her power when she played love-obsessed teen Esther Smith. The biggest challenges she faces in the film is how to grab the attention of the boy next door, and the potential tragedy of having to move to New York right before the World’s Fair. Directed by Garland’s future husband Vincente Minnelli, this film is opulent, vibrant, and will pluck at each one of your heart strings. Thanks to this film, I now sing the Trolley Song in my head each time I get on the C-Train and I hope you will too. ​The message of The Day the Earth Stood Still has never been more relevant. Live in peace and everything will be alright. Even though the special effects and set pieces of this film may at first seem dated, they hold up better than many other science fiction films made after with much higher budgets. There’s a simplicity to this film that helps it last through time, and maybe even through space. 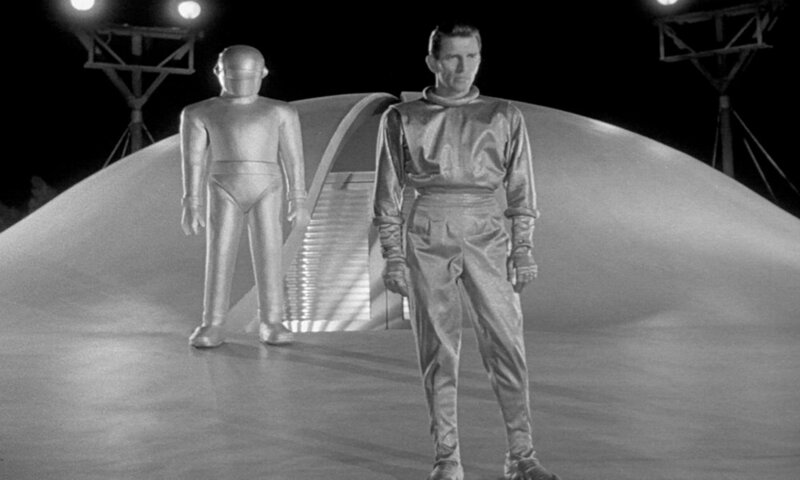 The Day the Earth Stood Still’s ending will stick with you for a very long time and in this day and age, we need that entirely. ​I know choosing a Marilyn Monroe film may seem a bit too obvious but hear me out. 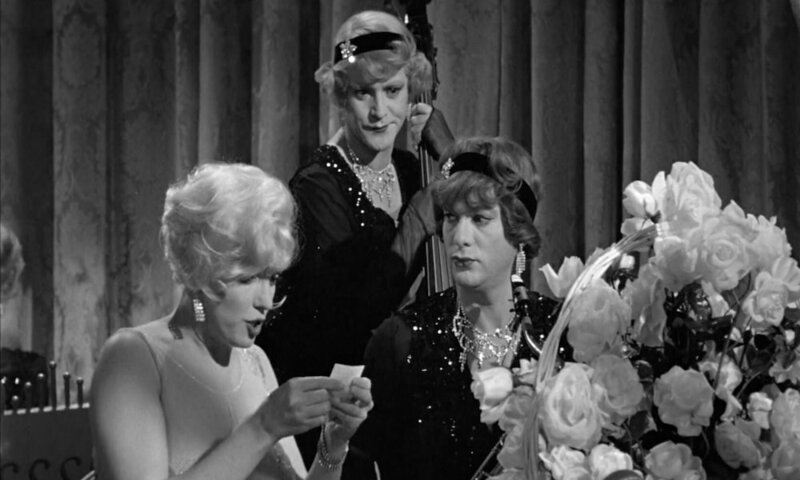 Some Like It Hot holds up surprisingly well for a film about two cross-dressing men. While it has its very obvious flaws, the film has many layers to it. On the outside it is very much a slapstick comedy that uses sexual humour to get the plot where it needs to go. On the other hand, this may be one of Marilyn’s most complex roles. In this film, she plays an alcoholic who needs to use her sexuality to stay afloat in the life that she’s been dealt. She’s open about the abuse and mistreatment she’s had from other men, which makes the betrayal of trust and confidence from Jack Lemmon and Tony Curtis’ characters even more heartbreaking to the viewer. Some Like It Hot definitely needs to be viewed with a grain of salt, but it is still entirely enjoyable and hilarious. 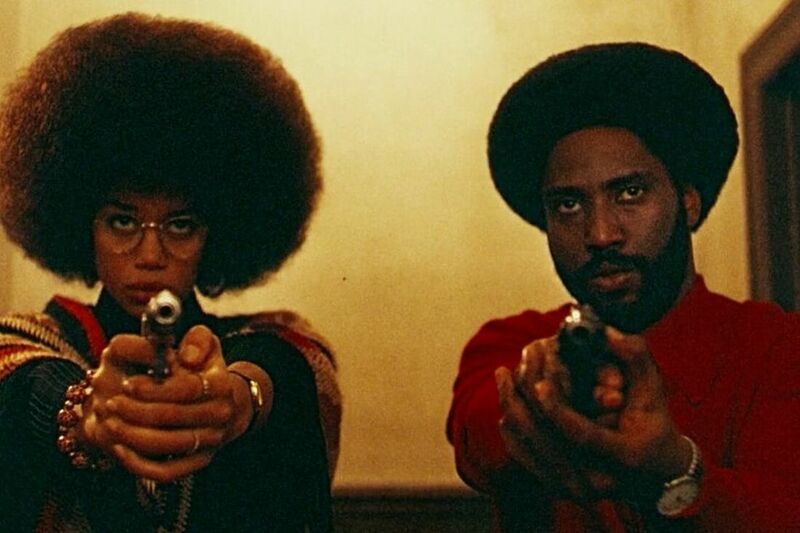 Also there are gangster, which in my opinion makes every film better. ​I bet you thought I was just going to forget about Hitchcock, didn’t you? Shadow of a Doubt encapsulates everything Hitchcock does best. The film works on so many levels to make you wholly uncomfortable. Shadow of a Doubt reaches inside of you and twists your insides but still leaves you question why you felt so uncomfortable. 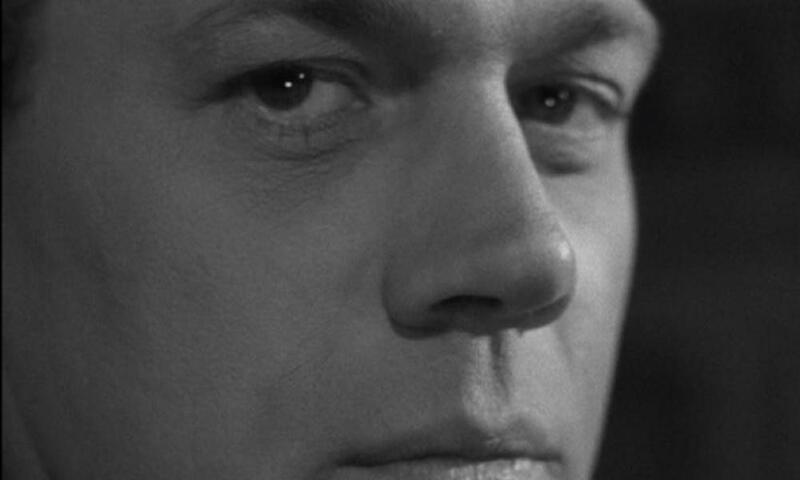 Joseph Cotten gives one of my personal favourite performance ever captured on film. Like Double Indemnity, it will grab your attention, but when it lets you go it will leave you feeling much dirtier than before. ​I know I haven’t even scratched the surface of all the wonderful films Classical Hollywood has to offer. If you haven’t gotten a chance to immerse yourself in that world, start with these films and then just get lost. My tip: just tune into TCM whenever you have a spare moment. You won’t regret it. I was lucky enough to get tickets to an advanced showing of “5 Feet Apart”. Now, I will admit right off the bat, I cried. A lot. I probably cried at four or five moments in this movie, which is both good and bad. I went into this movie expecting to cry, and that was fulfilled because the emotional impact the movie builds is well done. Unfortunately, the rest of the movie doesn’t support the cry-factor it has. It wasn’t a bad movie by any means, I didn’t leave it thinking I was cheated or promised something that they didn’t deliver. It is a great teenage romantic drama, has everything it needs to claim a spot next to “The Faults in Our Stars” or “The Notebook”. 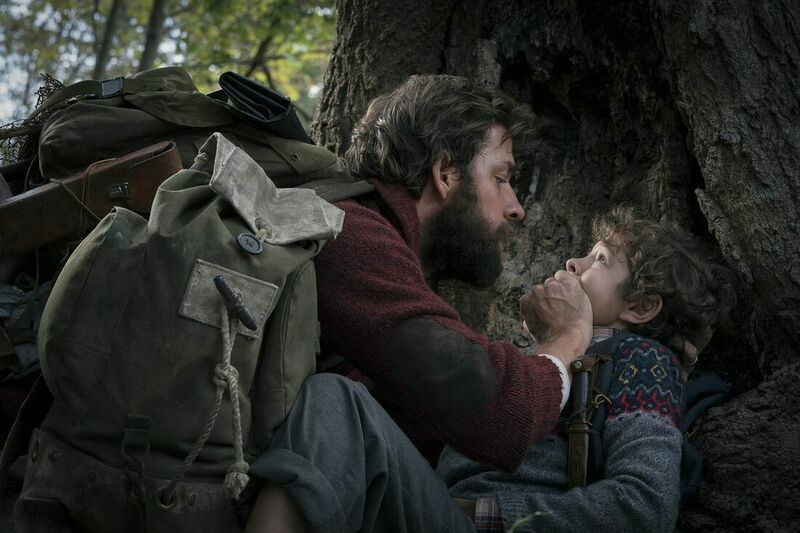 None of these movies are Oscar-level, but they give the audience what we are all expecting. A lot of cheesy, adorable moments interlaced with very heavy ideas and scenes. Yet I was still left feeling a bit let down. The first issue, our pessimistic and terminally ill dream boy. We have already seen the pessimistic, terminally ill dream boy in “The Faults in Our Stars” and Augustus was a hell of a lot more likeable than Will. There is an obvious character arc and growth from the depressed and not caring boy into an emotional and hopeful young lad through his experiences with our main female lead. Yet… I never once believed it. The acting by Cole Sprouse was fine, nothing to complain about, but the character himself felt like he remained fairly one dimensional, even when he is meant to be a 180-flip in personality and outlook on life. In all honesty, for the first half of the movie I hated Cole Sprouse’s character. I found him annoying and cocky and not at all likeable, which is not how you want to start with the boy who is supposed to be the main romantic lead. He did grow on me by the end, and some of his romantic gestures did make me tear up, but I couldn’t shake the feeling of “I really didn’t like you before and it’s weird I like you now”. I have another major issue with this movie that is hard to explain without spoiling but I will do my best. The movie includes a secondary plot line to add more drama to the story, and it failed in my opinion. What was meant to add another layer to our main girl instead felt like a rushed and not well-thought out story, awkwardly shoe-horned in. It had incredible promise and I feel it could have achieved its intended dramatic impact if it had gone through one more workshop. I forgot it was even a part of the movie until it was reintroduced. This failure of a secondary plot was sad because it could have added a seriously dark and dramatic layer to this movie. I think the biggest fault of this movie is the secondary characters outshined the main characters. Every scene that included either the nurses or the best friend was the most entertaining because the secondary characters were interesting and comedic and dynamic. They added a fun twist to a fairly mundane story that has been done before. It is a tie which character was my favourite, Po the gay best friend or nurse Barb. Both were interesting and multi-dimensional, they were believable as real human beings and I was excited whenever I saw them on the screen. Po being gay was not his entire personality which was really refreshing to see. Instead, it built into his character and his own personal issues. As for nurse Barb, I loved her because she was not only a sassy mom character (which yes, is a trope but it wasn’t the worst portrayal of this trope I’ve seen) but showed the impact long-term patients have on their nurse. Now that I’ve spent all this time saying all the reasons I didn’t like it, let’s get into the good because there is a lot of it. First and foremost, I cried and felt all the warm fuzzy feelings a romantic drama is meant to make you feel. I loved the way they portrayed the romance of the main characters because it was cute and cheesy. As well, their handling and explanation of cystic fibrosis was amazing, I was so impressed. It wasn’t just an excuse for sadness, they explained and demonstrated exactly why cystic fibrosis is so sad and devasting to not only those who have it but their loved ones as well. They showed treatments and issues and complications, it was a continuous discussion throughout the movie and I loved that. It was educational more than just a plot point. Plus, the final scene was glorious not because it was exceptional, but because in every quiet moment I heard a symphony of sniffles across the theatre. This is definitely a movie to either watch in theatres and share in the sadness with everyone else, or at home with someone to hold as you eat ice cream. Did I hate it? No, not even a little bit. Will it make my Oscars list? No. Will I watch it again? Absolutely, I just need to mentally prepare to cry again. Captain Marvel walks the line between predictable action/adventure and a subversion of classic Hollywood tropes. It’s because of this duality that I find myself continuing to struggle with whether I think the film is good or great. 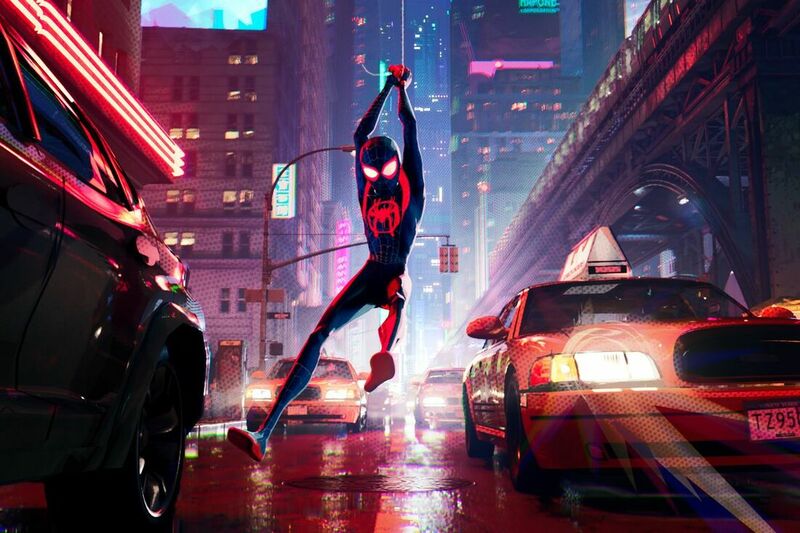 What I can say is that this movie is definitely worth your time, and if you’re a Marvel fan, you’re definitely going to love this movie. If you’re not a Marvel fan, well, you’re probably really “fun” at parties. Regardless, Captain Marvel definitely has something to say to North American audiences; which is that we are in a new age of Girl power and let me tell you, it’s freaking badass. Which brings me to the most important point and that’s the social relevance of the film and the profound impact it will have on young girls in the audience who will see a positive example of defying the patriarchy. None of this would be possible if not for Brie Larson absolute dedication to her role as Carol Danvers. Larson brings humour, passion and a stone cold superhero aura that makes Captain Marvel another hero we can all adore. Samuel L. Jackson, who is always a fantastic team player, brings his A game here as Nick Fury; especially when he's paired with Brie Larson. As for the rest of the cast, well, they're passible enough and don't hinder the narrative. Additionally, I have to bring up Goose the cat, who will definitely steal your heart, and is almost as great of an addition to the Marvel universe as Captain Marvel. Finally, I have to bring up the issues the film unfortunately has; which are moments of mediocrity surrounded by really great scenes. By this, I refer to the films somewhat disappointing narrative beats and supporting cast. While sometimes the film uses "boring" superhero movie tropes to make a comment on the masculine perspective that superhero films indulge in more often than not, yet there are times where the film just shoe horns in weird exposition that frankly kind of bores me. That's not to say that it's bad, but it's not very creative either. However, there are these moments, like the aforementioned subversion of patriarchal superhero tropes that I find really brilliant. So that's where I find myself when writing this review. I'd love to say this movie is great, but it just falls short. I do however recommend that you go out and see this film because it is really fun. Also support strong female leads in blockbusters! If you're a parent with daughters, I'd argue that this is a required movie to show them. 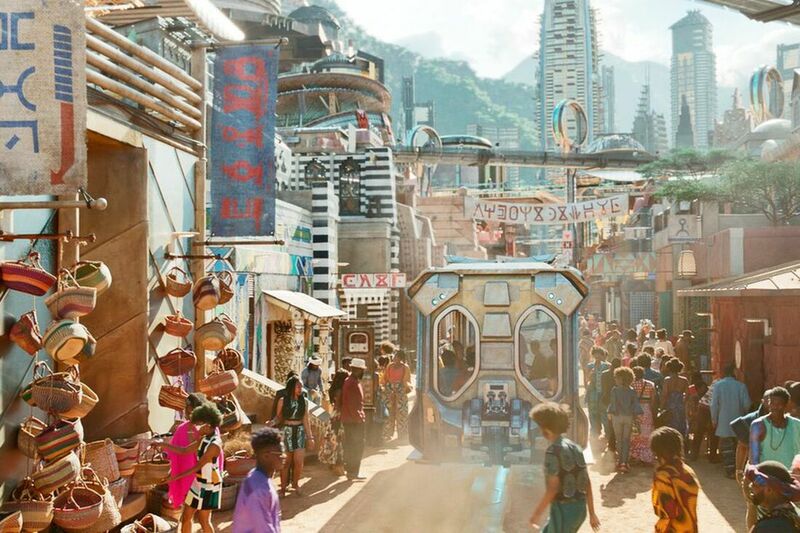 For the Marvel fans, you'll absolutely adore the lore the film sets up and how it sets up the upcoming Avengers: Endgame. Also, you now have a film that you can argue is much better than Wonder Woman. DC fans don't @ me. P.S. Stan Lee fans will feel the feels. If you have even the slightest incline towards films and movies, I HIGHLY suggest... possibly even beg you to attend at least one day of the 27th Annual Artifact Small-Format Film Festival, running March 7th, 8th, and 9th at The GRAND. ​Artifact is run by CSIF (Calgary Society of Independent Filmmakers) and provides the city with a truly magical contribution to our film community; being Calgary's only celluloid-based film festival--screening physical 16mm and super8 works--- and among a handful of festivals around the world dedicated to showcasing these small-format films. So what's so incredible about screening 16mm, and super8 films? Well, let me tell you. 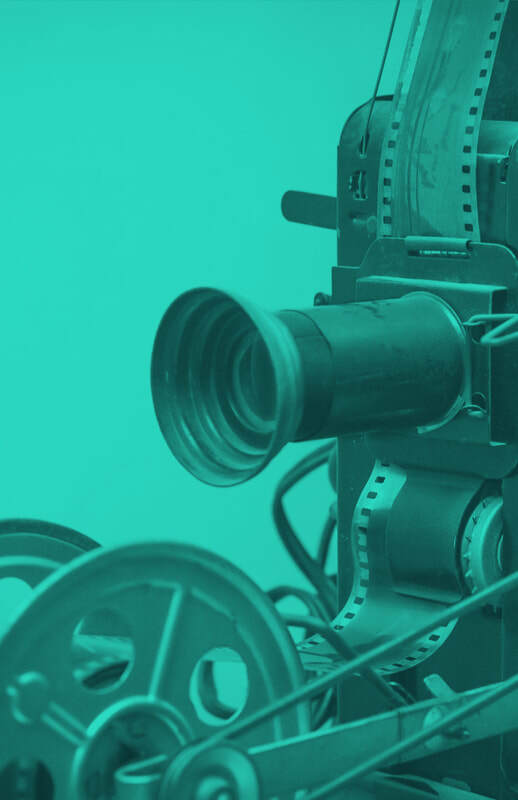 I absolutely DROOL over every aspect of the experience of small-format films, and I am going to give you 3 reasons why I salivate, and why you should too. ​Sensations are nice, but they're even nicer when a majority of your senses are active in an experience. While we sit in theaters to watch films, every sense is engaged somehow, and with celluloid, all that sensory engagement is amplified to a great degree. You hear the projector rolling behind you, realizing that tiny, individual frames of repeating and changing images are pass through a bright light that you then see with your eyes in front of you. The sound of the projectionist counting down changeovers to transfer the eye to the next film fills your ears. Scratches on the film itself signify to your body that this is a physical material that has passed through the world getting little marks, just like us, just like our bodies. It is not the same to see the scratches of digitize film. Not only do you not have the active sound of the projector--adding to the haptic nature of the scratches-- but also, those lines are crisp and touchable on the screen at Artifact when the film is not compressed to a data file. The grain that small-format gives to the senses is something that truly cannot be recreated in a digital sense. You feel hyped after a night of Artifact, you may even feel your body has been given some energy, not to mention your mind feels refreshed. 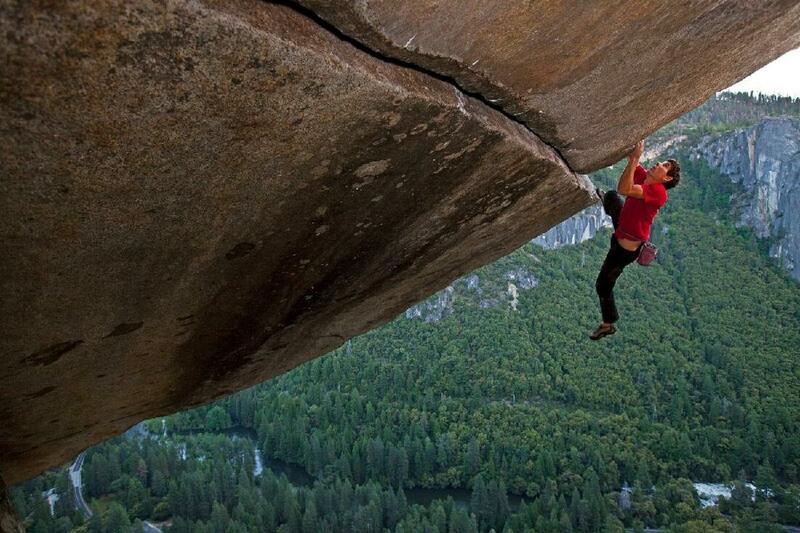 A little hit of non-digital stimulus has been given to you that does something powerful to your soul and your body. So come out to Artifact and FEEL some good sensations that you can't get anywhere else! ​I have grown up in a primarily digital age, which is applicable to most millennial’s and after generations here in Calgary. 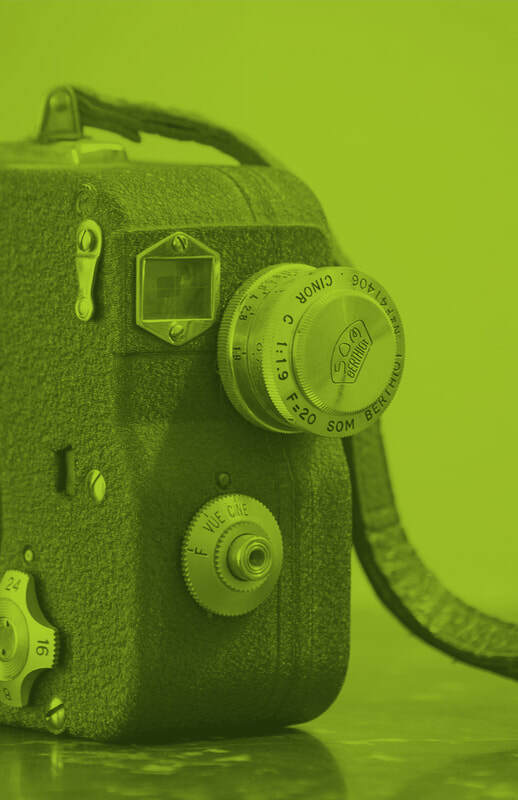 It is easy to forget the long history of film showcase and projection technology, but once you have opportunities to learn about, work with, and watch small-format film, you wonder how we could ever forget that film is still alive and well! Very much alive (see reason 1. ;) ) After last year’s Artifact, I came away excited and hyped on the material of film, but also with the thought of ‘WHY can't this be a more common experience?’ The answer is multi-part, but could be summed up due to the dominant, arguably more accessible, and easier to manipulate recording format = digital. Also a factor is the cost of using film vs. digital today. However, that is an obstacle that the Artifact (Previously the $100 film festival 1) has sought to overcome in the past and today the festival is still intended for low budget works. The choosing of the word ‘artifact’ is also curious to me. 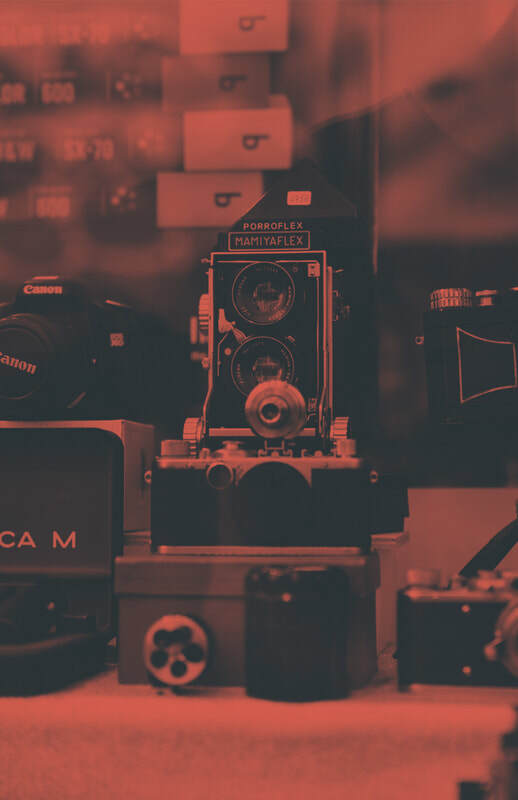 To me, it suggests a desire for the festival to be looked at and noticed by the collective memory, to recognize that analog is still an alternative to digital consumption and creation. 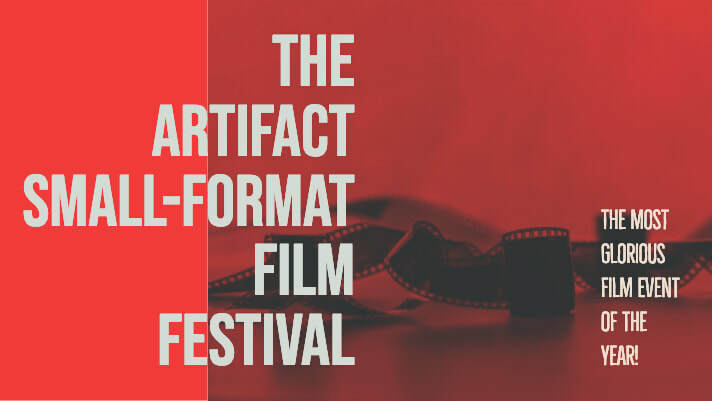 Artifact gives us an opportunity to not only pay homage to film history, but also the opportunity to be inspired to revitalize analog creations and usage within today's society. So come out to Artifact, join in the sense that we aren't forgetting about that salivating celluloid! 3. Come See Amazing Films! ​Even if reasons one and two don’t interest you, come out to Artifact just for some really good films! I don't know if it is the actual handmade element of celluloid, but Artifact shows a diverse program of creative and inspiring films! 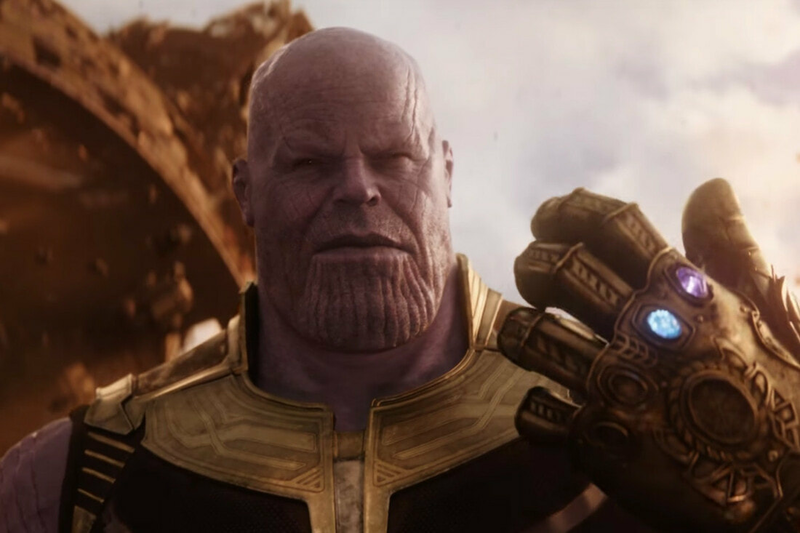 You will most likely feel a connection to one or more of these films and their creators. There is something intimate with small-format viewing as personalities and feelings transform well into celluloid. So come on out to Artifact and DROOL over some films! Student and Member pricing available. Also check out our Film Society Alumni’s writing in Luma Quarterly: Kevin Dong’s Carbon Capture: Experimental Strategies for Re-Presenting the Anthropocene at the link below. Hello fellow film enthusiast! We're so excited to be hosting our first ever film awards right here on Crash/Cut. After weeks of nominations, and voting we've finally tallied the winners of each category, and boy do you all love some Marvel movies! Honestly, we're surprised at the number of voters that turned out to have their say, but overjoyed in everyone's enthusiasm. 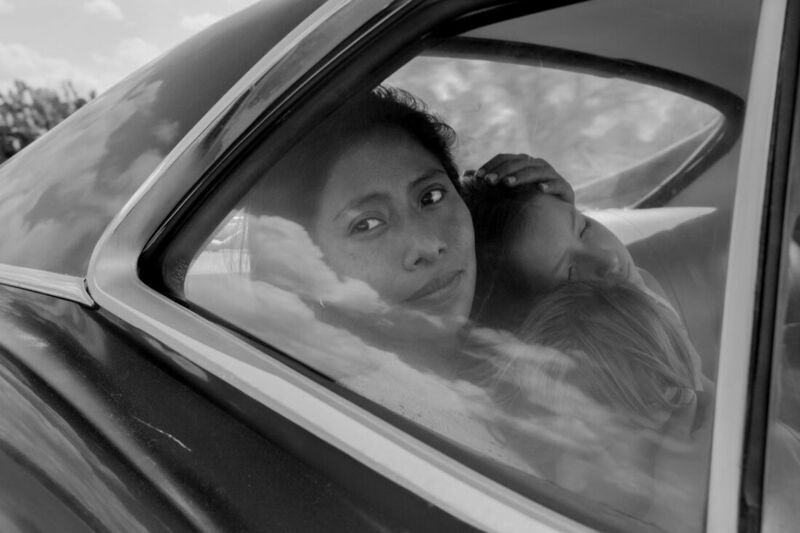 2018 was a great year for movies, especially foreign films, which dominated the nominations this year; especially this year's favourite Roma, which racked up a total of 10 nominations. 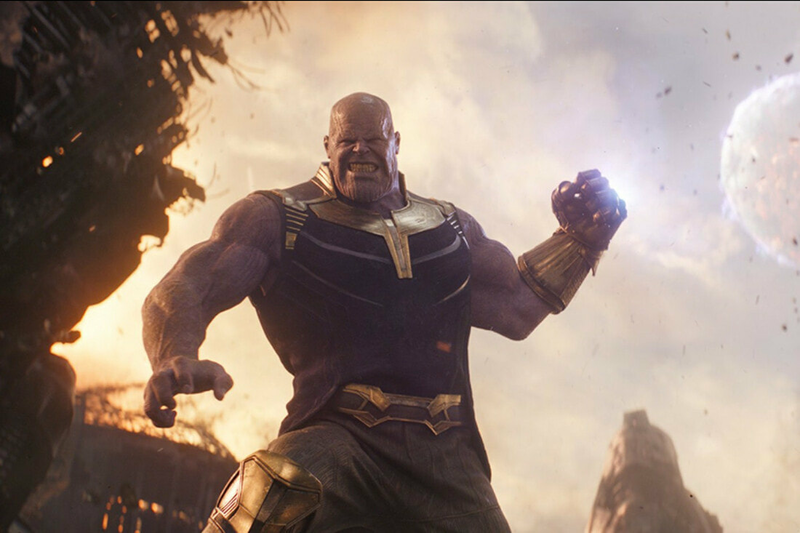 Marvel fans came out in huge support for their beloved franchise, giving the studio a total of 10 nominations as well. Well, that's enough from me, scroll down to see who gets to claim a prestigious Crash/Cut Film Award, chosen by you the members of the Film Society! 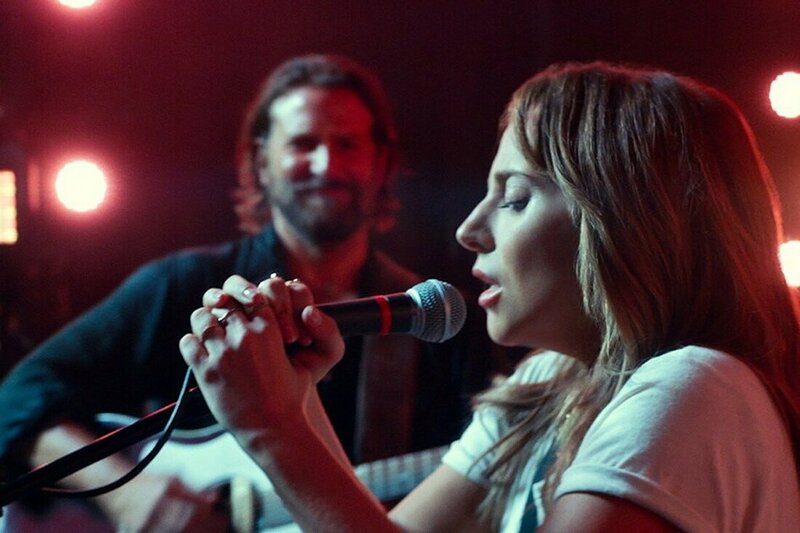 A Star Is Born | Warner Bros.
​For the first time in my twenty years on this earth, I have succeeded in viewing every single film nominated for Best Picture at the Academy Awards (I’ll wait until the applause die down). For me, being a major movie buff and, hopefully, a future film critic, this is a big deal. I can say that, for the most part, I enjoyed all of this year’s nominees. While saying this, it doesn’t mean that some films aren’t more deserving than others. The list below is my definitive ranking of this year’s Oscar nominees for Best Picture; from the okay to the sublime. I actually didn’t really mind this film. While some of my peers have trashed it to no end, I found Bohemian Rhapsody to be quite enjoyable. 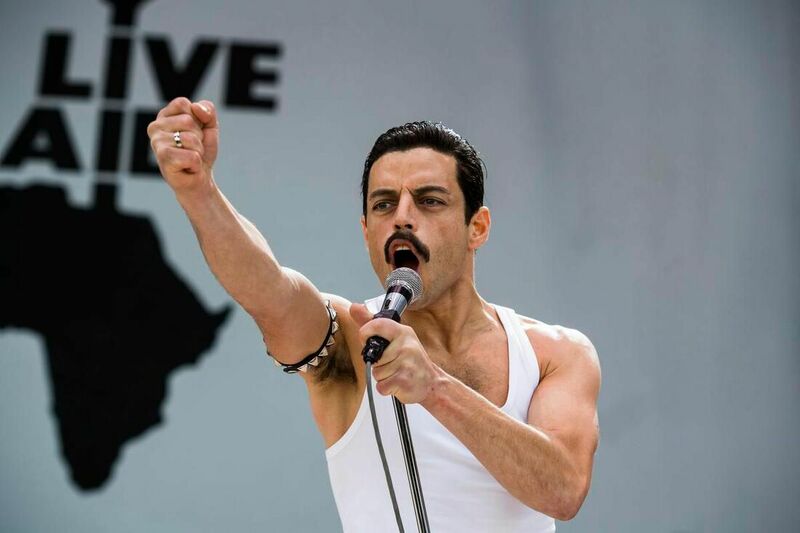 The story was easy to follow, the songs were great (which is expected from a film about Queen), and Rami Malek’s portrayal of Freddie Mercury was pretty damn good. So why is this film on the bottom of my list? 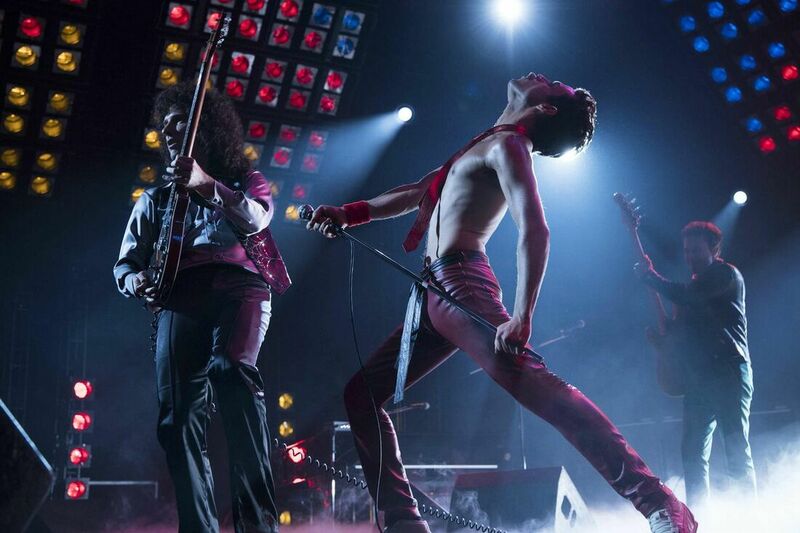 Simply put, it is just your average, run-of-the-mill musical biopic. Save for Malek’s performance, I do not really understand why it is nominated at all. While I would put Black Panther on the top of my list of superhero films, I do not think it holds a candle to some of the other films in this category. 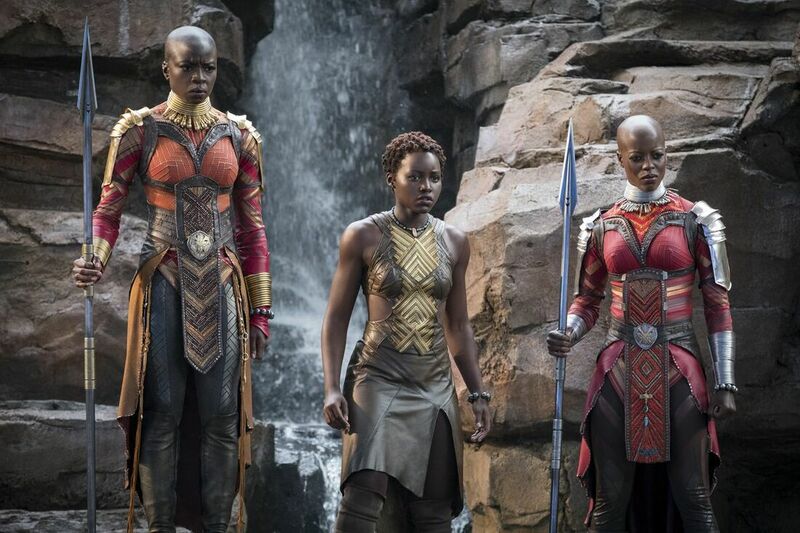 The film, apart from its inclusion of elements from African culture, didn’t really bring anything new to the superhero genre, and I felt that most of its components were standard, such as the special effects, acting, and script. 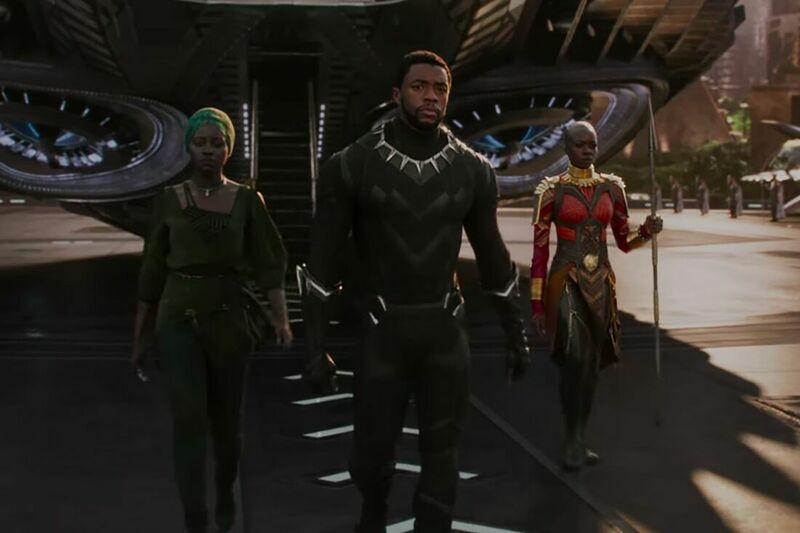 Black Panther was certainly entertaining, and a film that I will definitely watch more than once, but it isn’t Oscar-worthy. 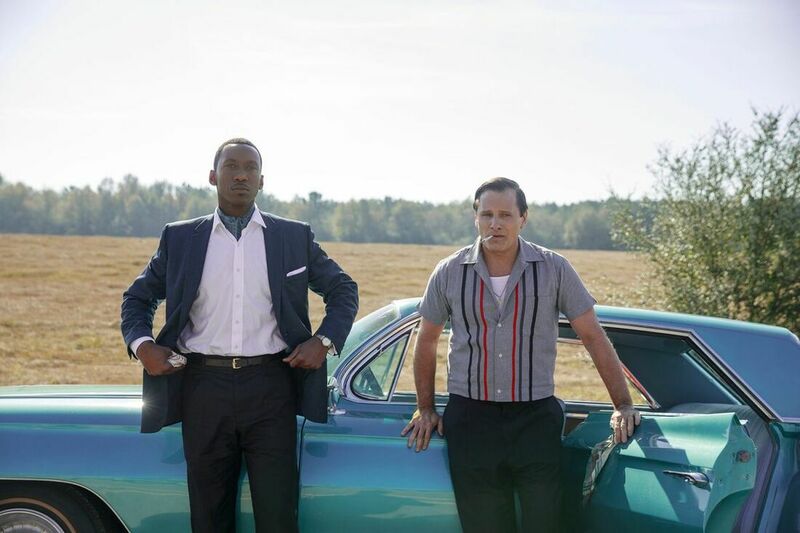 ​Like Bohemian Rhapsody, Greenbook is a cookie-cutter, Oscar-bait biographical film. What differentiates the two films are their character dynamics. I got more pleasure listening to Mahershala Ali and Viggo Mortensen’s characters arguing as they drove across the country then from the deteriorating relationship between Mercury and his bandmates. The chemistry between Ali and Mortensen was undeniable and watching how their characters grew throughout the film was a joy. 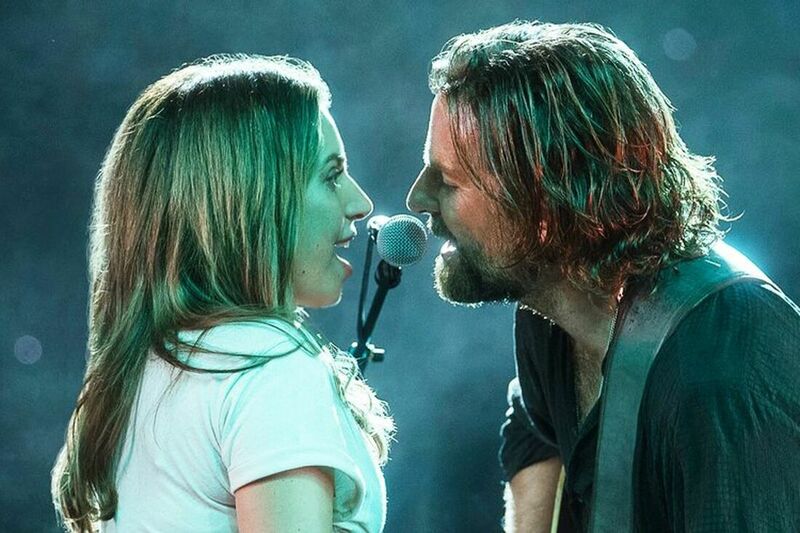 Lady Gaga and Bradley Cooper in "A Star is Born" | Warner Bros. Okay I know that people have mixed thoughts on this film, but I loved it. The story is classical Hollywood at it's best, the acting was excellent and Lady Gaga’s voice is a true force to be reckoned with. 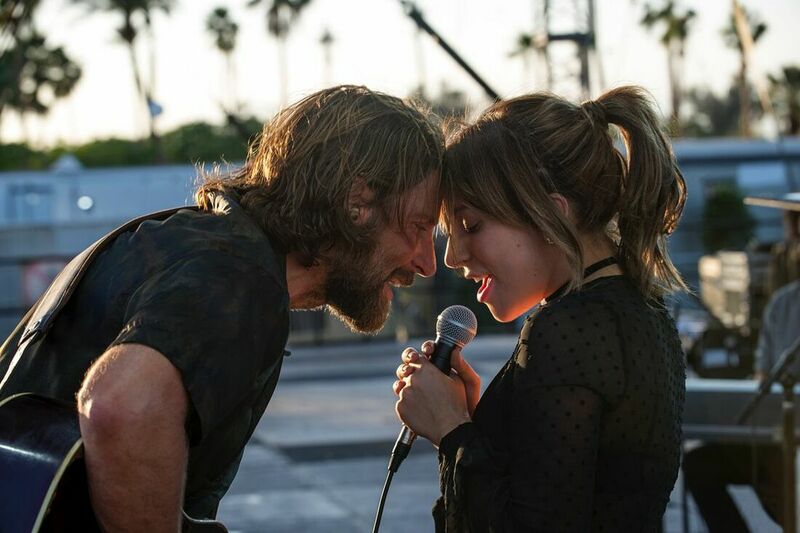 Like Ali and Mortensen, the chemistry between Gaga and Bradley Cooper was powerful, and is undeniably the reason why the ending so heartbreaking. While I dislike some of the artistic choices Cooper made, such as Gaga’s final performance, this is a solid directorial debut. Christian Bale in a fat suit, America’s treasure Amy Adams, and Adam McKay’s direction; I mean, what more could you want from a film. Through dynamic, fast-paced editing, sharp script, and aided by Bale’s uncanny performance, McKay was somehow able to make a film about early 2000's American politics one of the most fun cinematic experiences of the year; you’ve got to give the man some love. 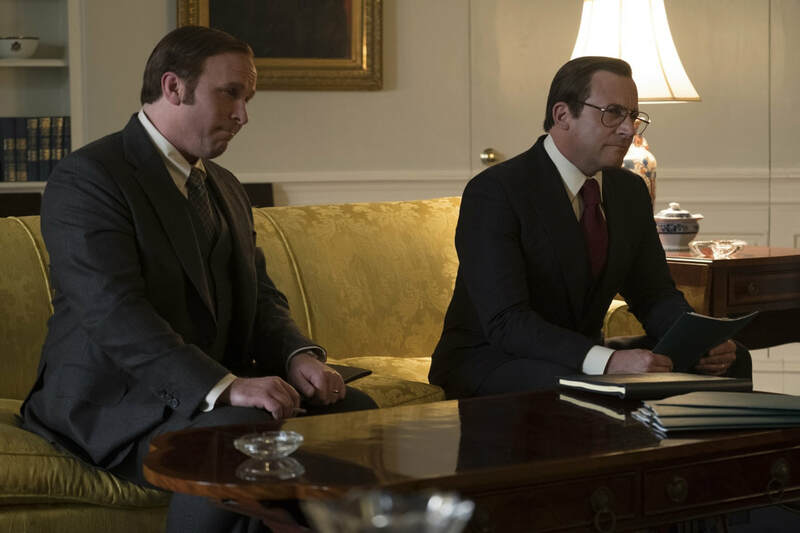 To top it all off we were blessed with Sam Rockwell as George W. Bush. Hot damn indeed. Now we’re getting into the real contenders. Yorgos Lanthimos, of The Lobster fame, is back with yet another devilishly fun film. 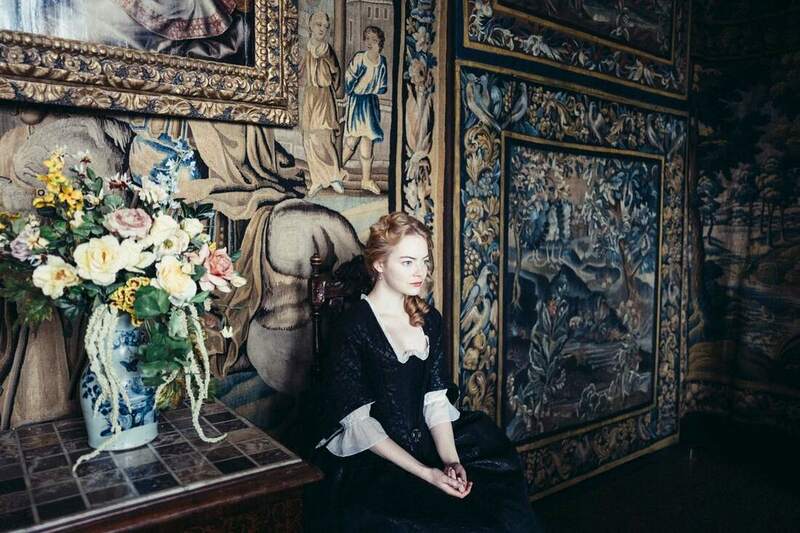 Like McKay, Lanthimos was able to breathe life into the saturated genre which is the Victorian period film. 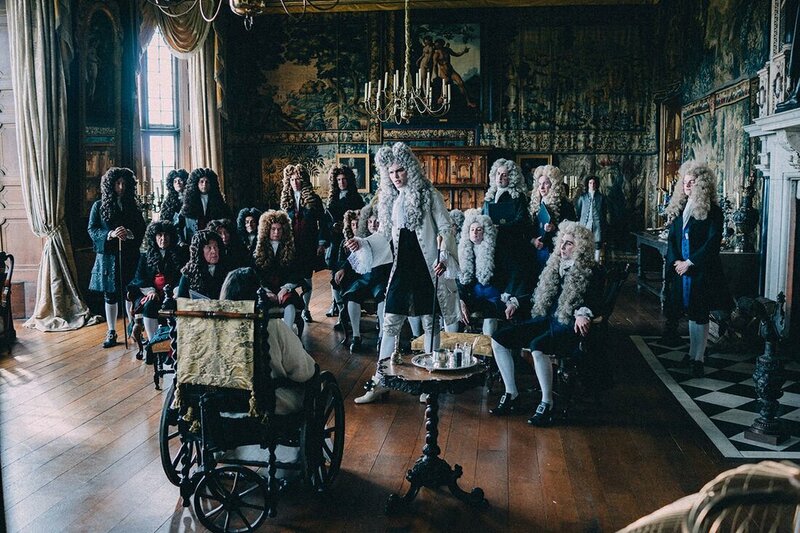 When I walked into the theatre, I was expecting a boring, slow, retelling of British history and when I walked out of the film I was baffled (in a good way). 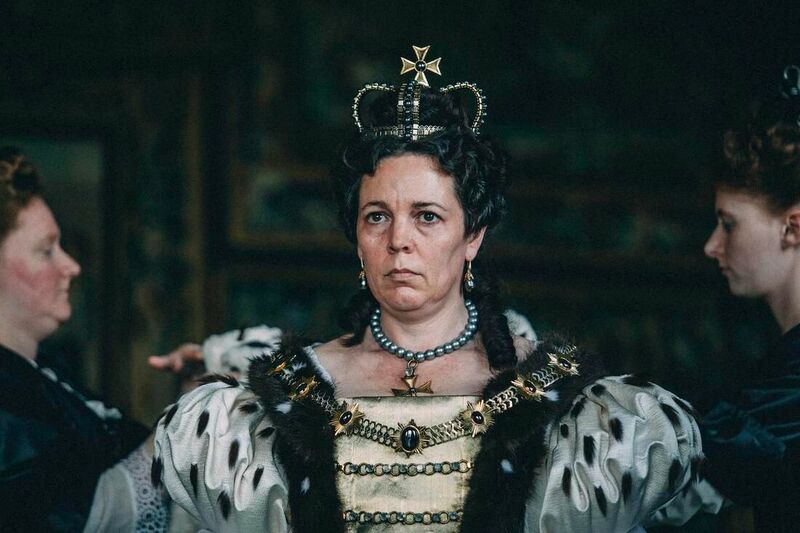 One of the funniest films of the year, The Favourite is a must see, if not for its witty script, for the delicious tour de force that is Olivia Colman, Emma Stone and Rachel Weisz. Blackklansman was a poignant and true cinematic delight. There is little I can say about this film that isn’t praise. Spike Lee is one of my all-time favourite directors and when watching his films it's obvious that Lee wants you to have fun. 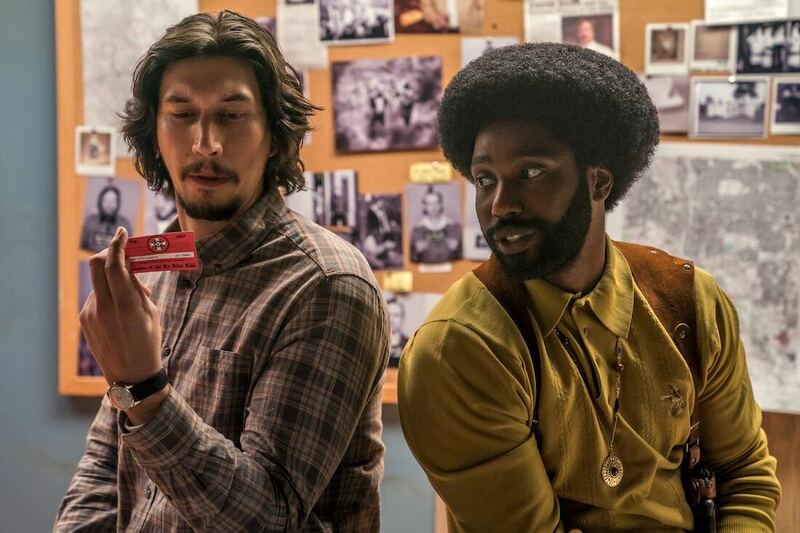 With Blackkklansman, Lee tackles the subject of racism with popping visuals and editing, boogie-down music and knock-out performances from John David Washington and Adam Driver. If this film doesn’t receive any wins this year, I am going to be one very mad film critic. Roma. 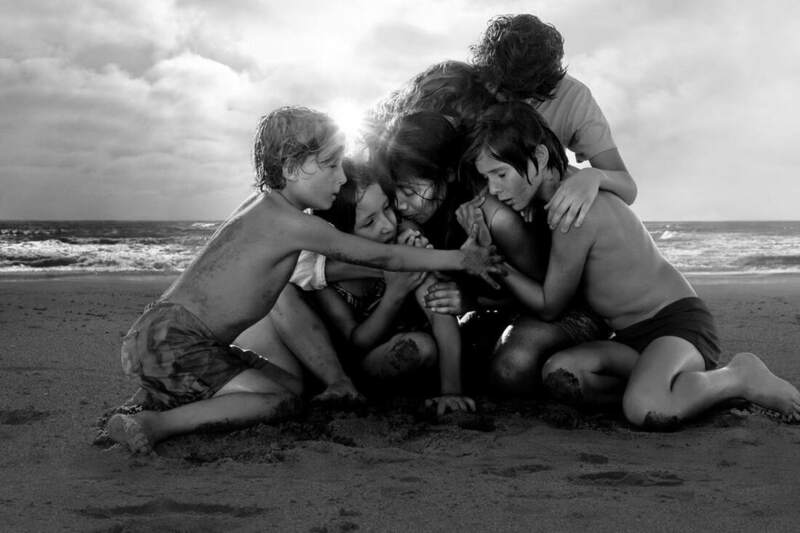 Roma, Roma, what a film to behold! 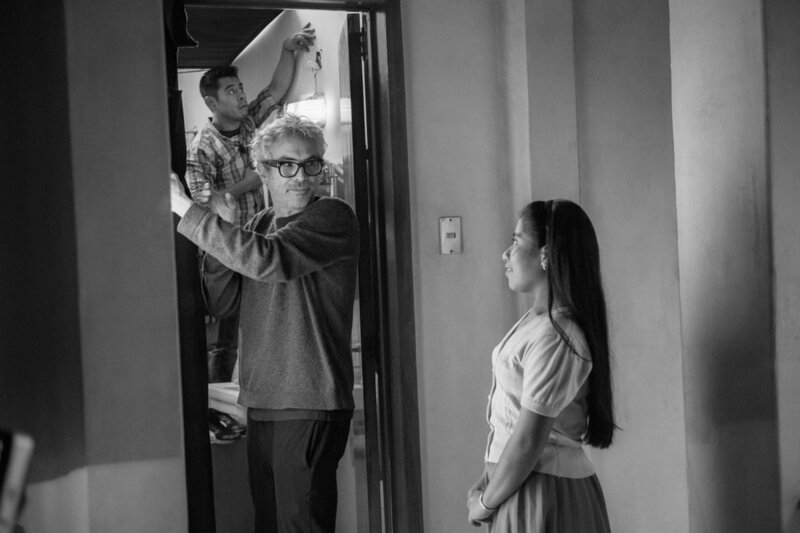 Cuarón’s eye for visual storytelling is one that should be cherished and celebrated by all. Not only was this film a strong piece of narrative, but also a true work of art. The images in this film are some of the most impactful and beautiful I've seen all year. For example, Cuarón made a tile floor soaked with soapy water mixed with feces seem to be the most beautiful and symbolic image I have ever seen in my life. His ability to take mundane pictures such as these, and find their beauty is extraordinary. A truly Excepcional film! 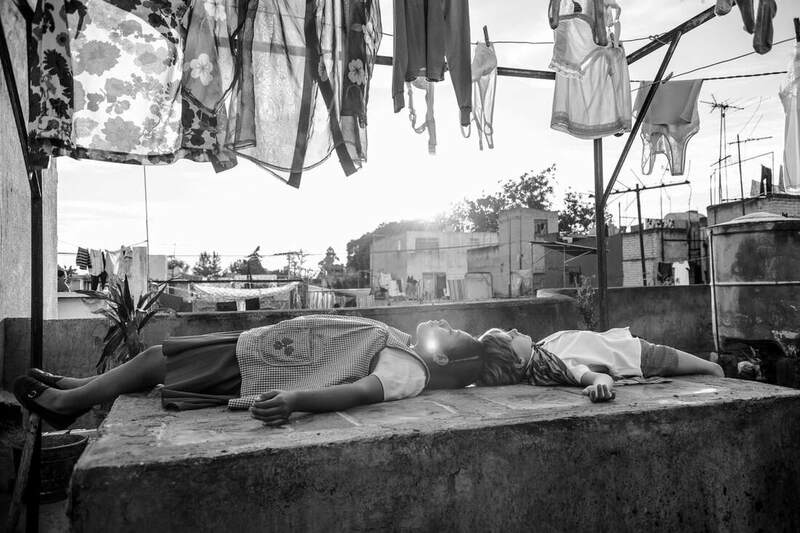 Make sure you watch Roma regardless if it wins or loses this years Best Picture award. ​To all the Oscar nominees this year I wish you good luck and may the odds be ever in your favour. 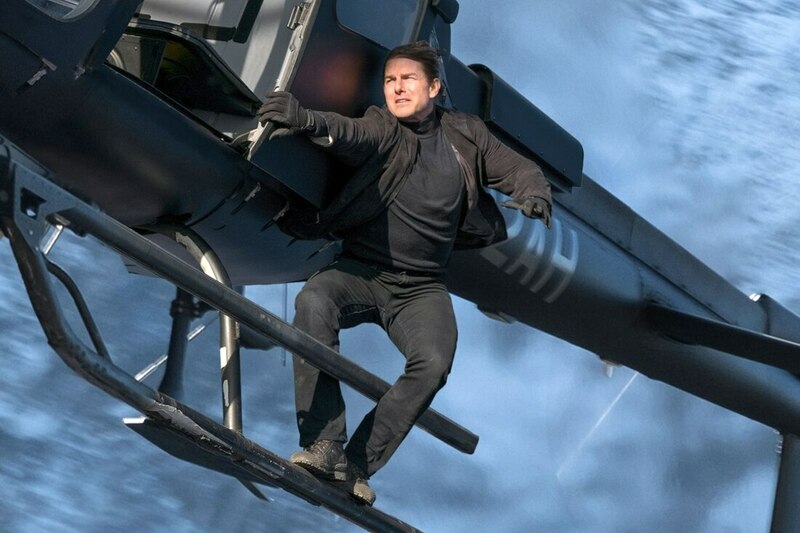 ​We’re less than a week away from the 91st Annual Academy Awards and I have some thoughts. Every year I wait anxiously in front of my computer for the announcement of the year’s nominees and have been left, more or less, disappointed. 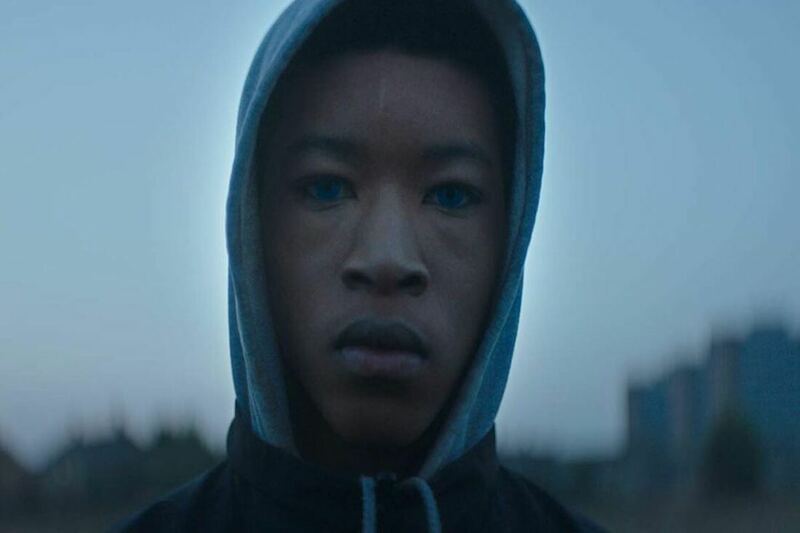 The films that I would argue to be the best of the year often receive no recognition while the cookie-cutter, Oscar bait films bask in award-show glory. With the backlash that they have received in the recent years, I assumed that this year the Academy would step it up with their representation and diversity among the nominees. Surprisingly, the Academy obliged. However, I would argue that they have focussed their attention on their backlash, and as a result, the quality of the nominations suffered. 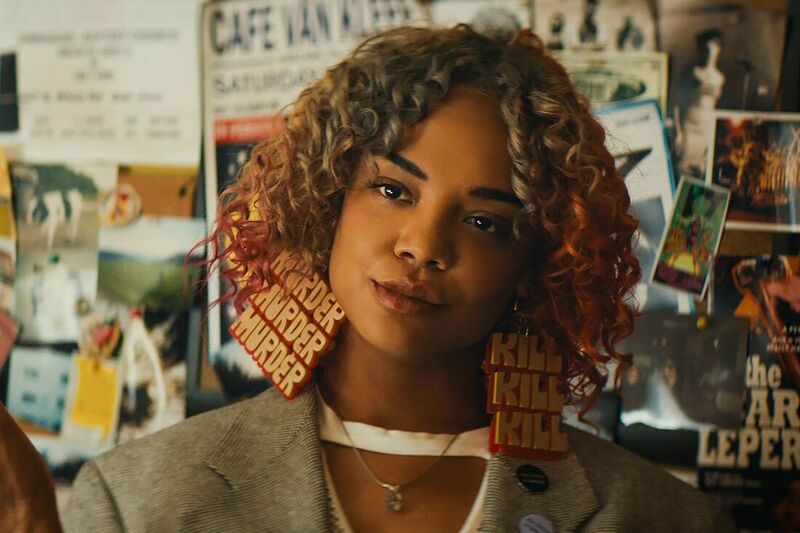 If you read the Film Society’s Best of 2018 article, you know that Boots Riley’s Sorry to Bother You was my favourite film of the year. The story was fresh and fun, the acting was superb, and it tackled some of the most prevalent issues of today’s society. Because of this, I was baffled when I saw that it received zero Oscar nominations. I knew the chances of it receiving a Best Picture nomination were slim, for the Academy seems to favour larger budget classical-Hollywood films, but I hoped that Riley would at least receive a nomination for his brilliantly original screenplay. Additionally, Lakeith Stanfield gave one of the best performances of the year as a man struggling to maintain his identity while trying to survive in the completive, capitalist climate, that was undoubtedly Oscar-worthy. 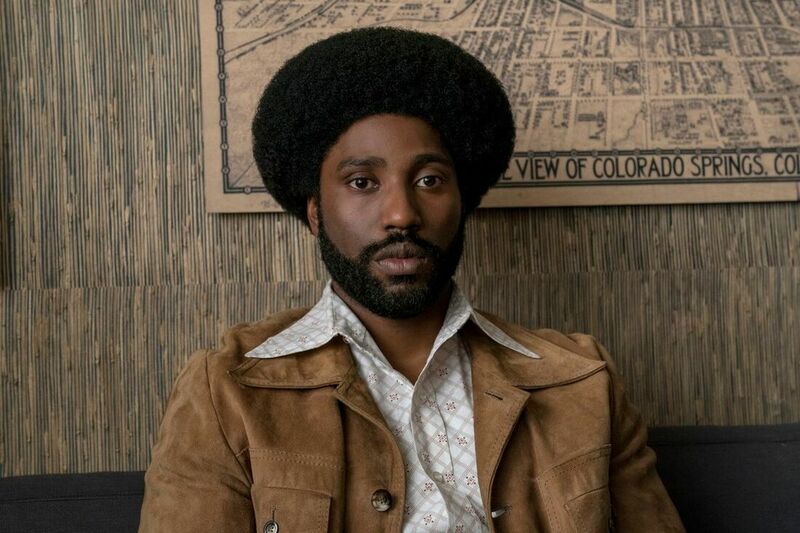 John David Washington did a tremendous job portraying the real-life Ron Stallworth in the Spike Lee directed Blackkklansman. Another one of my favourite films of 2018, Blackklansman received six Oscar nominations, including Best Motion Picture of the Year, Best Adapted Screenplay, and Best Achievement in Directing. You know what is missing from this list? A Best Actor nomination for Washington. I’m happy that Adam Driver was recognized for his supporting role, but Washington was truly the star of the show. His performance was funny, cool and believable. Like Fisher, Washington received a Golden Globe nomination and was wrongfully snubbed by the Academy. Yet another indie-darling that was overlooked by the Academy. Never has there been a coming-of-age film that has gotten the struggles of being a pre-teen so right. Bo Burnham’s directorial debut captures the awkwardness of middle school with extreme honesty. 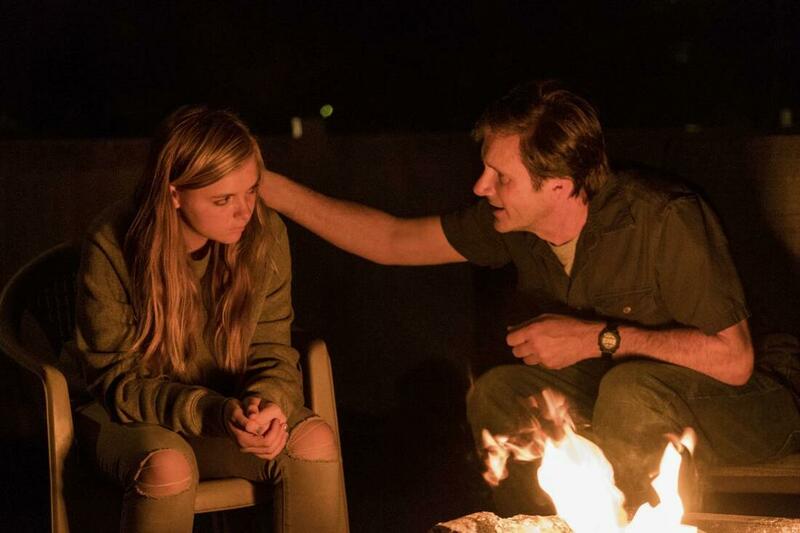 While other films have tried to glorify this stage in life, portraying epic stories of trial and triumph, Eighth-Grade doesn’t sugar-coat it. Kayla Day is just your average girl, complete with acne and an addiction to her cell-phone, who is just trying to fit in. When watching the film, I completely forgot that I was watching a fictitious story; that’s just how good the writing, and Else Fisher’s performance, was. I was hopeful when Fisher received a Golden Globe nod for Best Actress, yet the Academy failed to follow suit. I’m just going to go out and say it; I love Timothée Chalamet. I believe that everything he does is absolutely brilliant and I’m not just saying this because of his amazing cheek bones. Chalamet’s dedication to his roles, how he approaches each character with complete honestly, is outstanding. 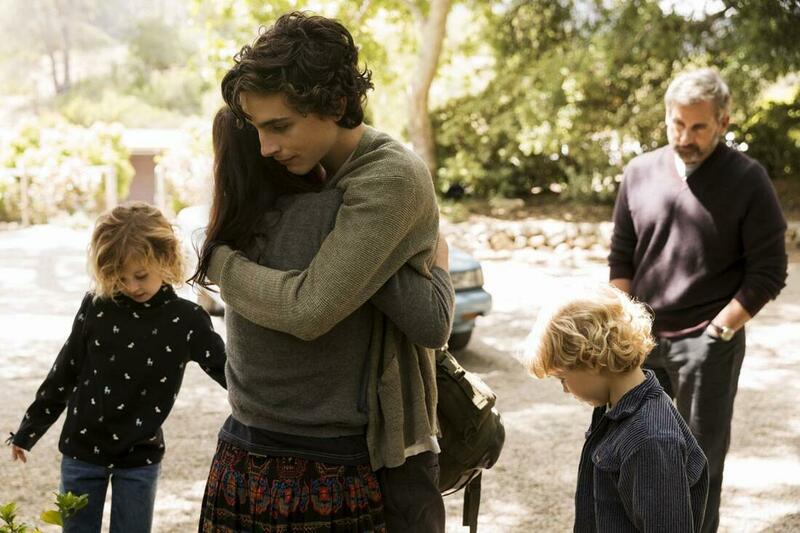 His follow up performance to last year’s Call Me By Your Name, for which he received a Best Actor nomination, and Lady Bird, as a young man struggling with addiction in Beautiful Boy left me in tears. The true tragedy, however, was that he didn’t receive as much screen-time as his co-star Steve Carell. In the perfect world, his and Carell’s characters would be equal, and Chalamet would receive another nomination for Best Actor. Alas… this isn’t a perfect world. Sigh. 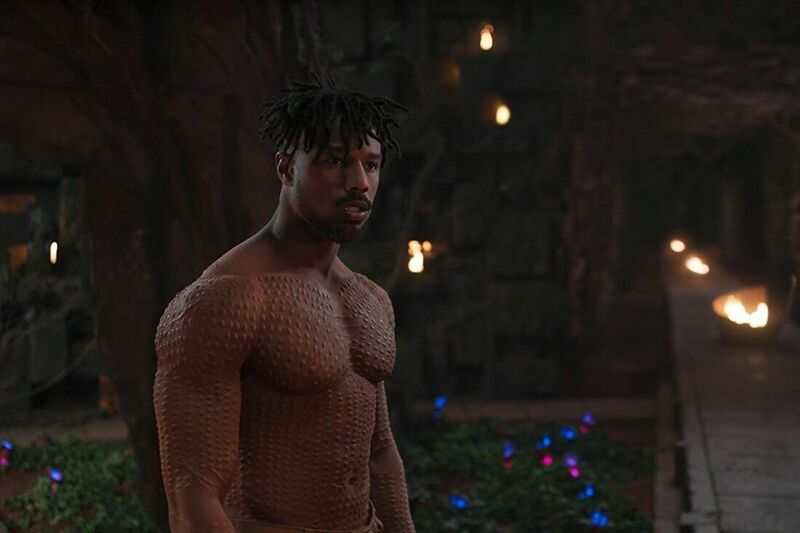 Okay, I loved Black Panther just as much as the next person. However, unlike Christopher Nolan’s The Dark Knight, I don’t think that it took the super-hero genre to another cinematic level. The story was predictable, the characters weren’t very interesting, and the special effects were standard. 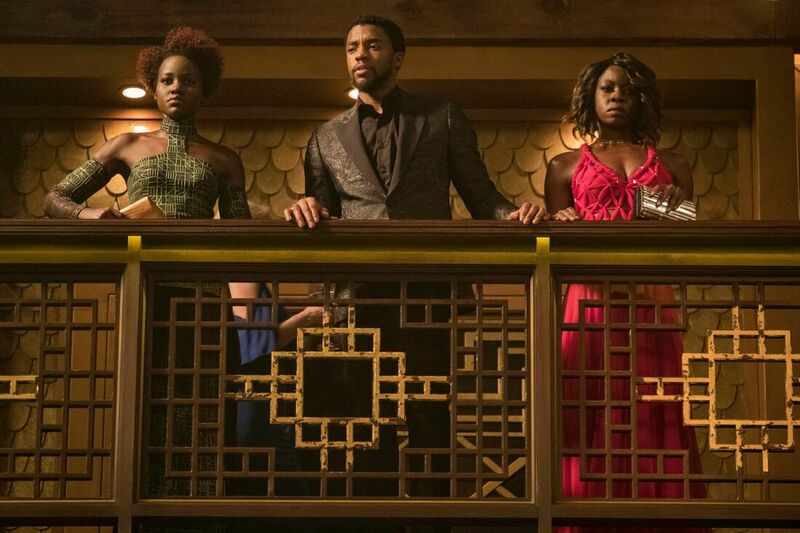 I understand that this is the first Marvel film with an all-black cast, and I commend them for this, but it wasn’t spectacular. The Best Achievement in Costume Design nomination was well deserved but, when compared to some of the other films that came out in 2018, it isn’t Best Picture worthy. 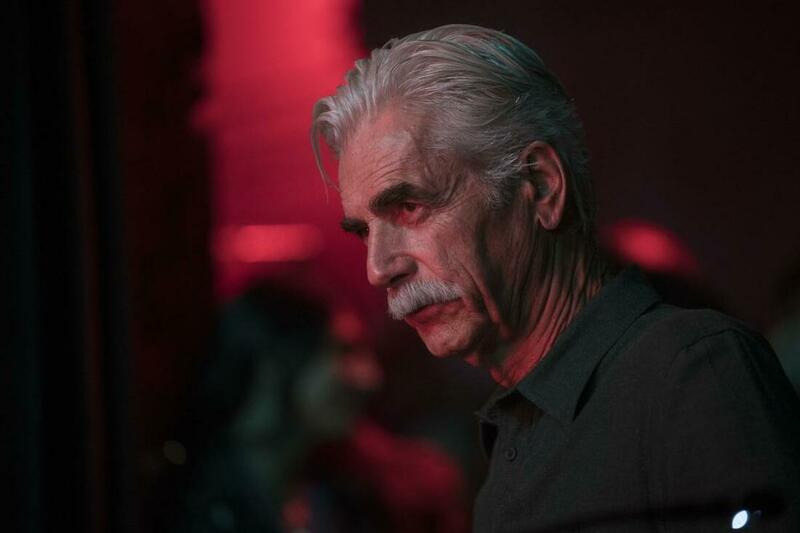 Sam Elliot in "A Star is Born" | Warner Bros. I don’t really have an issue with Sam Elliot’s nomination for Best Supporting Actor for his role in A Star is Born. He did a fine job. I just didn’t feel as if his character had a significant effect on the story. Elliot is a fantastic actor; this role just wasn’t anything special. Aside from Black Panther, I think that the public was mainly surprised to see the praise that this film received from the Academy. Again, like Black Panther, I thoroughly enjoyed this film. 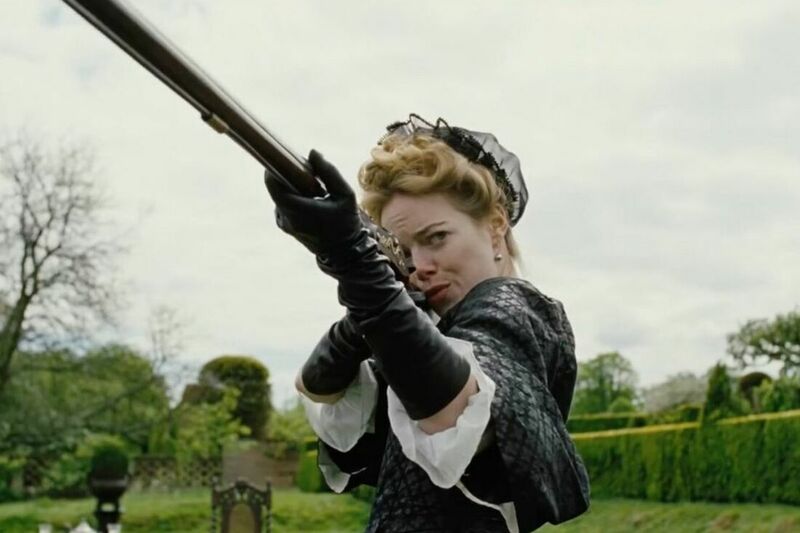 I just don’t think that it held a candle to films like Sorry to Bother You, Roma and The Favourite. Although I do not have an extensive knowledge of Queen, I have heard from my peers that Bohemian Rhapsody wasn’t that accurate, leaving out important aspects of Freddie Mercury’s life. Rami Malek’s performance as Mercury was great. The film… not so much. Finally, a pleasant surprise! Thank you, thank you, thank you to the Academy for giving recognition where recognition is deserved. Maybe I just have little faith in them, but I thought that the Academy would ignore the amazing performances in last year’s foreign-language films. 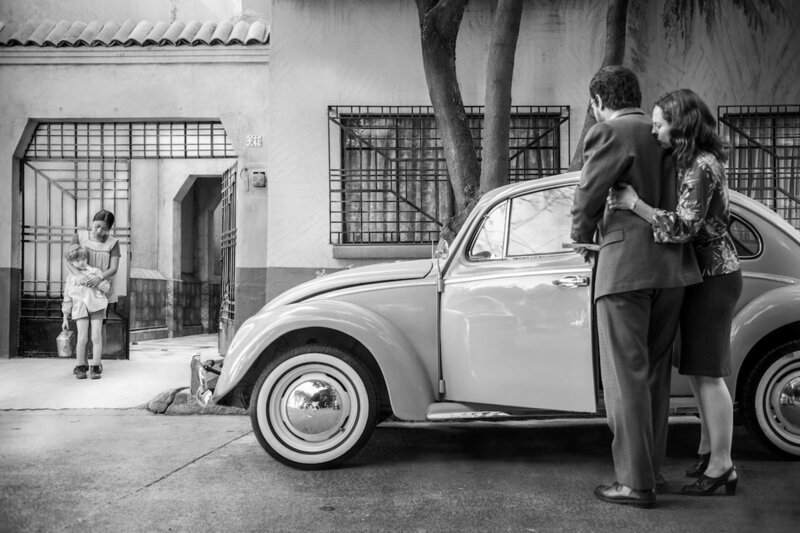 Aparicio’s performance as the stoic Cleo in Alfonso Cuarón’s masterpiece Roma, was outstanding. Disney Pixar's "The Incredibles 2"
​The latest release from acclaimed animation studio Pixar is a hilarious but often underwhelming movie. After waiting 15 years you’d have hoped that they would’ve come up with something better, but what we got is still enjoyable. The film follows the Parr family right off from where we left them, in an epic fight against The Underminer! They of course defeat their foe without a scratch to themselves; but probably causing several hundred million dollars’ worth of damage to their surroundings. Let us not forget that in their world “supers” are outlawed, and because of their actions, they are apprehended by government agents. After some strong words, the Parr family is released, and come across a new character named Winston Deavor who suggests a new marketing campaign to legalize “supers”. However, this plan requires Elastigirls more strategic touch to crime fighting, leaving Bob at home with the children. While there’s an interesting premise about gender roles and an X-Men approach to superhero equality to be found in the film, it never really gets into any of the meat and bones of these issues. Perhaps if Bird decided to remain more focused on one specific storyline, he might have been able to say something more profound about the society we live. Where the movie really shines is when it’s just Bob and the kids trying to cope without the help of Helen. 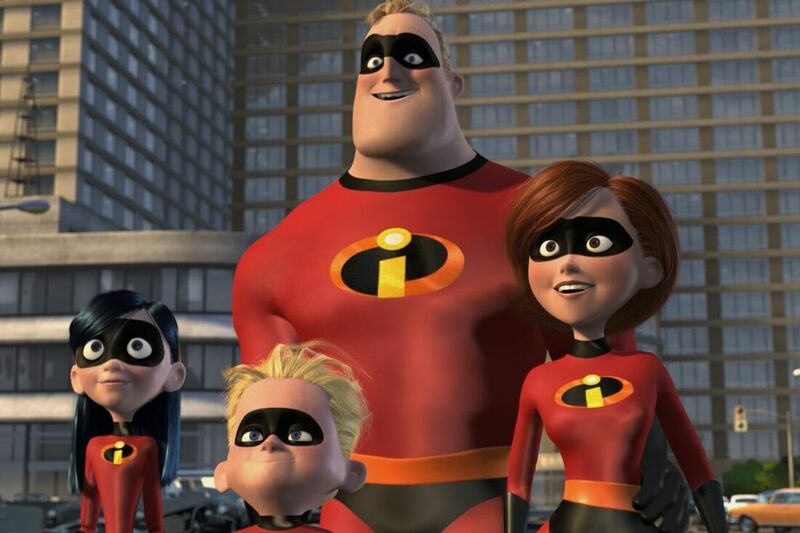 The chemistry between the Parr family has never been better and this movie capitalizes on it, especially with Jack Jack. I don’t think there’s anything funnier than watching Jack Jack terrorize his father and become best friends with Edna Mode. 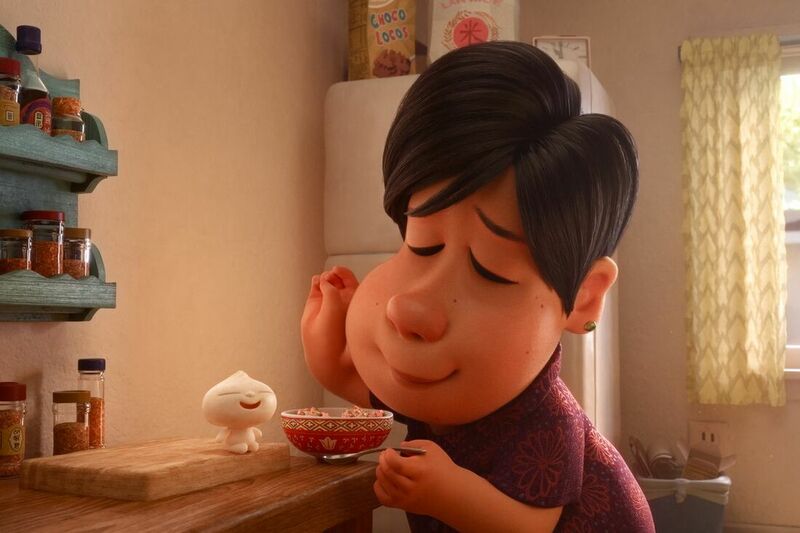 The quality of animation is also something to applauded; with lighting, textures, and facial animations appearing to be expertly employed by the Pixar team. Look, there’s not that much to say about the film. Is it worth my time? Sure. Is there anything unexpected? Nope. In short, this is fine film, done by an amazing studio, which is kind of why I’m a little disappointed. 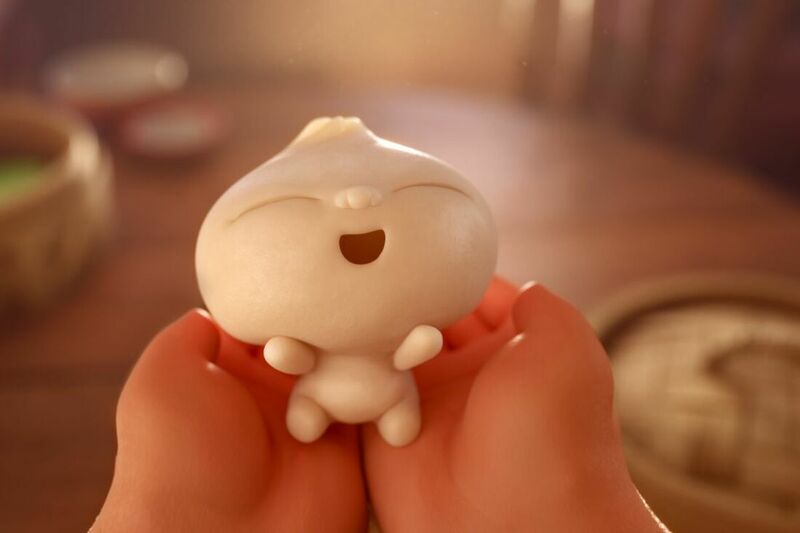 You should however, go see this movie, for the sole reason that is Jack Jack. It's on Netflix at the time of writing this, and that's probably the best place to watch it, but do it on a good TV you heathens, this is a pretty movie! I'm not talking about your old HDTV too, buy a 4K TV with HDR you schlubs!